Best known as the author of Heart of Darkness , Joseph Conrad (1857-1924) is one of the most widely taught writers in the English language. 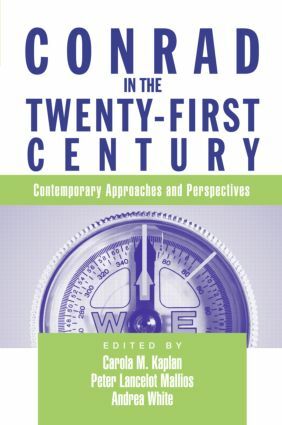 Conrad's work has taken on a new importance in the dawning of the 21st century: in the wake of September 11 many cultural commentators returned to his novel The Secret Agent to discuss the roots of terrorism, and the overarching theme of colonialism in much of his work has positioned his writing as central to not only literature scholars, but also to postcolonial and cultural studies scholars and, more recently, to scholars interested in globalization. Reading Conrad Now is a collection of original essays by leading Conrad scholars that rereads Conrad in light of his representations of post-colonialism, of empire, imperialism, and of modernism and modernity-questions that are once again relevant today. The collection is framed by an introduction by J. Hillis Miller-one of the most important literary critics today-and a concluding extensive interview with Edward Said (one of his final interviews before his death on September 25, 2003)- the most prominent postcolonial critic-addressing his lifelong fascination with Conrad. Reading Conrad Now will be essential reading for anyone seeking a contemporary introduction to this great writer, and will be of great interest to scholars working with Conrad in a variety of fields including literary studies, cultural studies, ethnic and area studies, and postcolonial studies.